Almond cake, where have you been all my life? 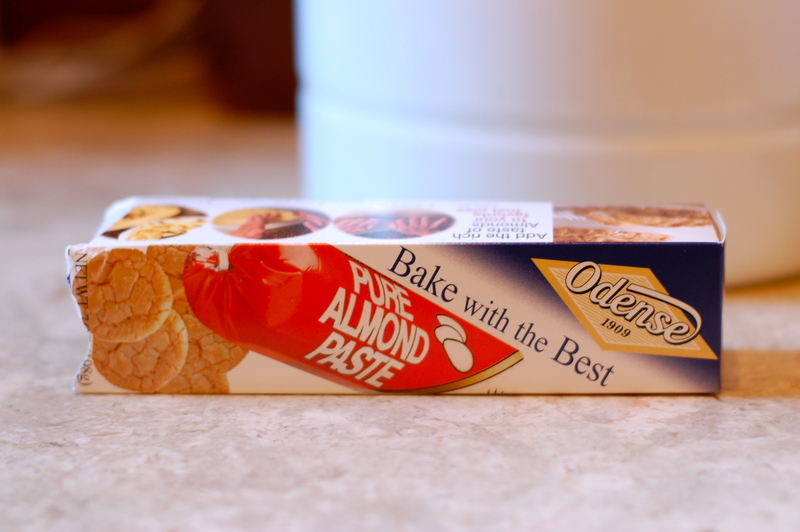 Several months ago, while at the grocery store buying cupcake sprinkles for Talia’s birthday, I spied the Odense almond paste in the baking section. For no particular reason, the pull was strong. We can home with a package of course, and promptly forgot about it. Fast forward a couple of months, and let me present you with my latest baking discovery: almond cake! Moist and flavorful, pleasing for adults AND kids alike, it makes for the perfect dessert, not to mention morning coffee routine accomplice. My favorite part, aside from flavor of course? How very easy it is to make. 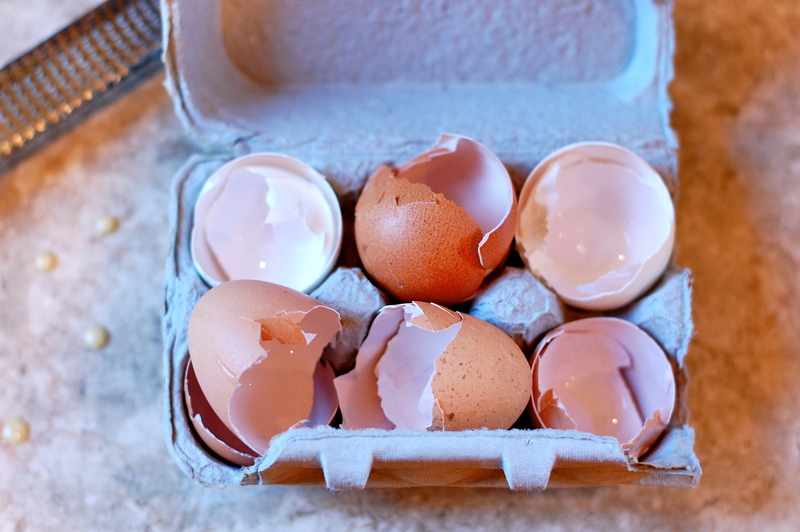 There is virtually no prep involved, aside from making sure you remember to leave eggs and butter out on the counter to bring them to room temperature (quick fix: place cold eggs in hot water for a few minutes). This is also an excellent baking project to do with kids. The batter is fairly failproof, and older children could easily pull it off without adult supervision provided they are comfortable following basic directions and cracking eggs. So pull out your food processors if you have them and bake one for your next summer BBQ. Or “winter” feast, if you live in San Francisco. And don’t forget to let me know what you think. * You can vary the butter content depending on your texture preference. Less butter makes for a slightly denser cake, more butter creates a richer version. Either works beautifully. Preheat oven to 325º. Prepare a 9-10 inch in diameter, 2 inch deep cake pan** or springform pan by generously coating the interior with butter, dusting it with flour (excess flour should be shaken out) and lining the bottom with parchment paper (trim to the proper size). Yes, this seems like a bit of a pain, but you’ll thank me when you realize how much easier it is to remove the cake from the pan. Cake pan, lined, dusted and ready to go! 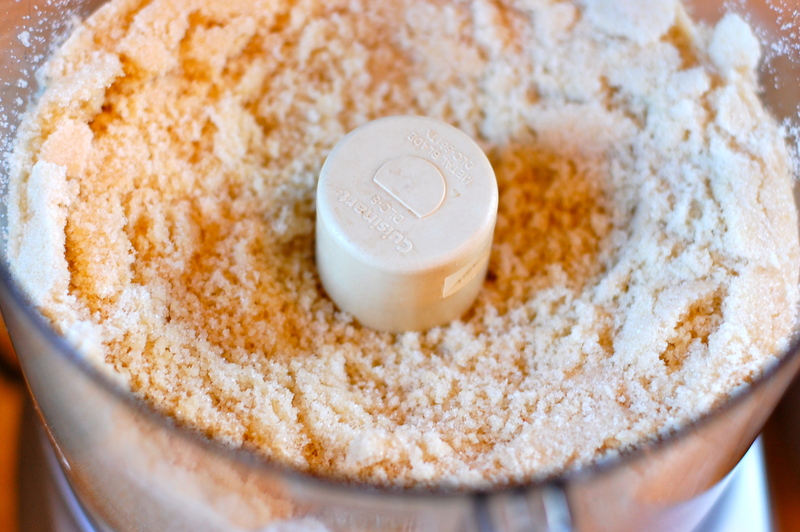 Using a food processor (ideally) or a standing mixer with the paddle attachment, add the sugar, almond paste and the 1/4 cup of whole flour. Grind until the almond paste is completely broken up and the mix reaches a sandy texture. 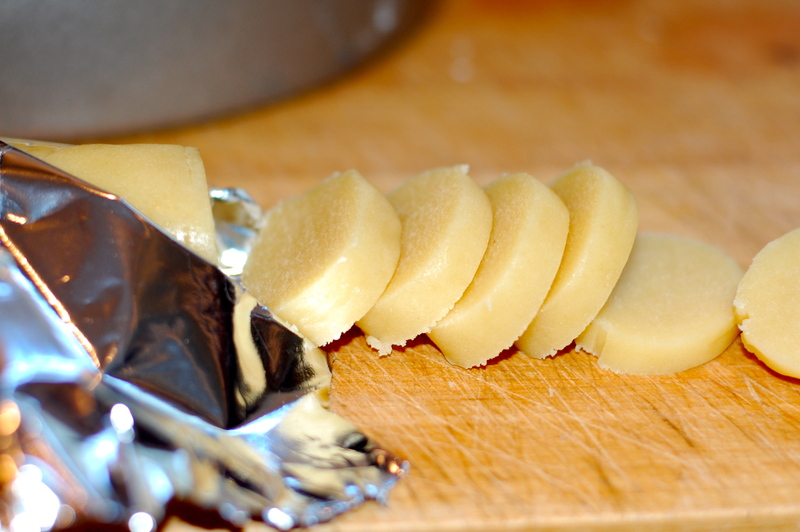 Add the butter pieces to the almond-sugar mix, along with the vanilla and almond extracts. 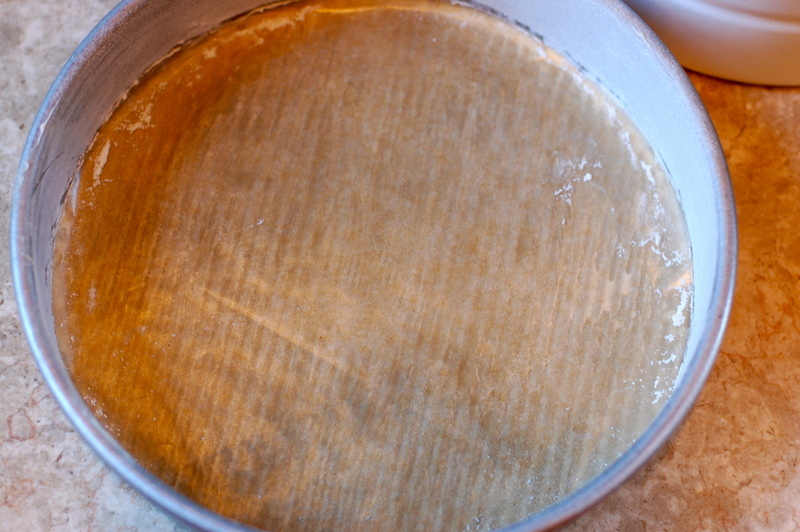 Process until the batter is very smooth and fluffy. In a small bowl, combine the dry ingredients: the remaining 3/4 cup flour, baking powder and salt. Add eggs, one at a time, to the batter. 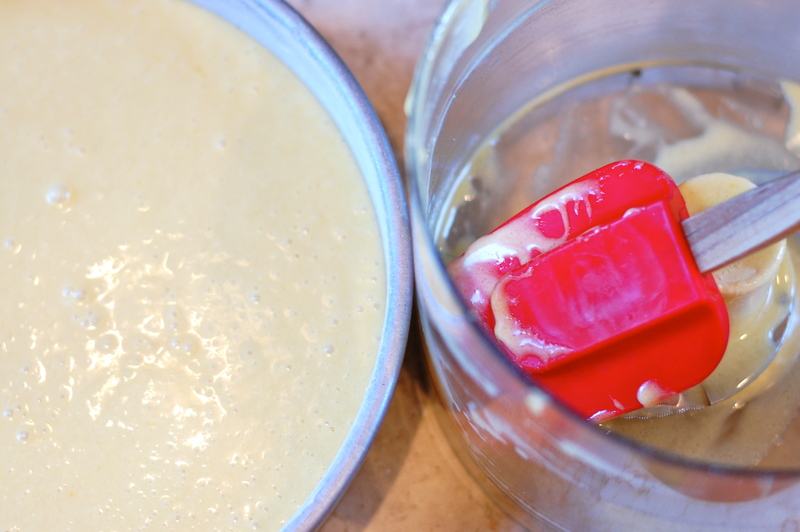 Process each egg until it is just incorporated into the batter. After the last egg is added, zest one orange into the batter. Finally, add the dry ingredients to the batter, processing half way through. The goal is to just incorporate the dry ingredients, but not overmix. Pour batter into pan and bake for 60-65 minutes, making sure it is brown on top when done. 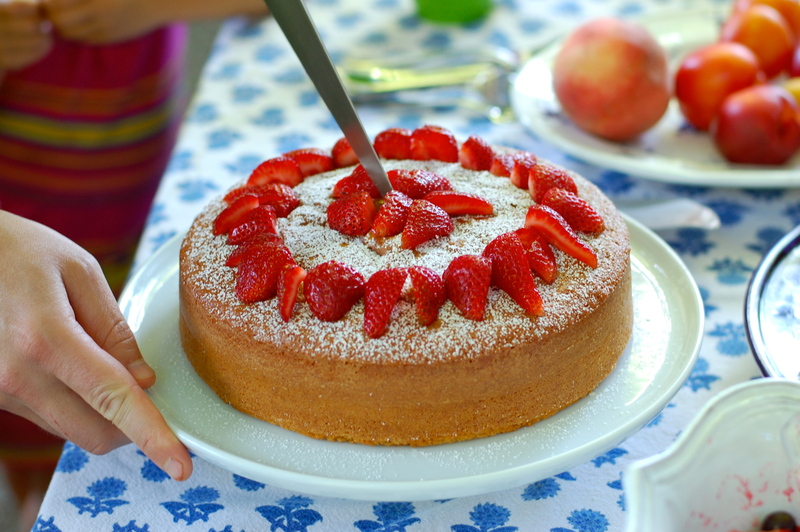 Using a knife, loosen the cake from the sides of the pan and cool in the pan. Turn upside and tap to release it from the pan. Don’t forget to remove the parchment paper before serving! We'll miss you, Dan and Matt! ** This recipe is calibrated for a 9 or 10-inch pan that is at least 2 inches deep. Do measure – I had four cake pans in my house, all which apparently meant for layer cakes and therefore 1.5 inches deep. The smaller pan means you run the risk of the batter running over. I now own a new cake pan – did I mention I love this cake? I loooove almond cake and think I will make this on Sunday!